Kenyan athletes were in sensational form during the final Diamond league meet of the 2017 season, the Ivo Van Damne meet in Belgium. Faith Kipyegon, Hellen Obiri, Conseslus Kipruto and Elijah Manangoi, all won their respective races to end a 2017 season which has been excellent for all of them. In the end, Obiri, Kipruto and Kipyegon ended up as overall Diamond league winners in their respective events. Of all these athletes, Faith Kipyegon is the one who faced the strongest challenge. The challenge came in the form of Sifan Hassan. 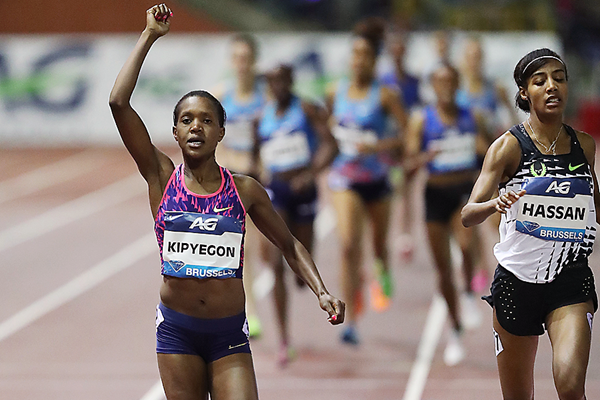 The Dutch woman has the fastest 1500m time of the 2017 season, while Kipyegon is the defending world and Olympic champion. It was bound to be a epic battl. Hassan and Kipyegon went neck and neck from the bell all the way until there were 30 metres left when Kipyegon found another gear which enabled her to edge past Hassan. Another Kenyan, Winny Chebet, who is normally an 800m specialist, finished third. 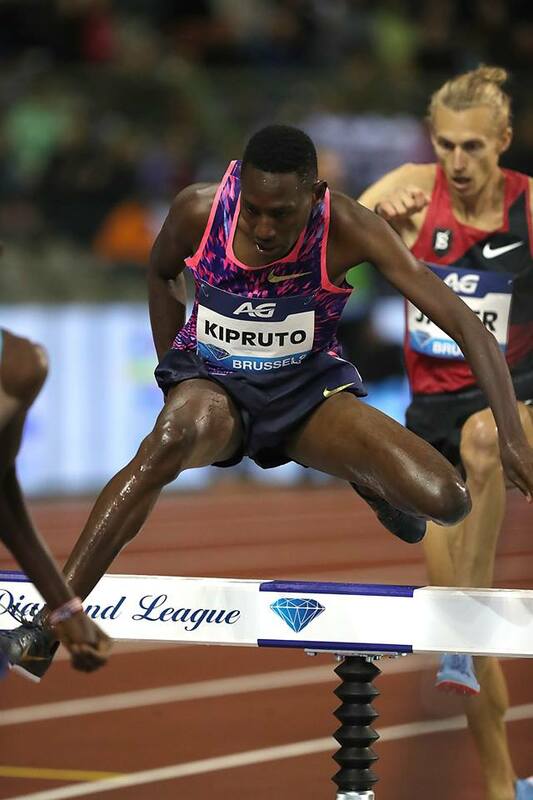 In the mens 3000m steeplechase, world champion Conseslus Kipruto left it until the last 10 metres to win the race. Moroccan Soufiane El Bakkali led for most of the last lap. With 100 metres to go, the Moroccan had a significant lead and appeared on course to win. But Kipruto with a burst of energy after the final hurdle, passed El Bakkali, but with only a few metres left. One issue for Kenyans in this event is the luck of depth. With the likes of Ezekiel Kemboi and Brimin Kipruto retiring, Kenya has only one medal contender: Kipruto. Yet this is an event where there were many years when Kenya had as many as 7 of the top 10 runners. The 2017 season has been by far the best season in Hellen Obiri’s career. Having switched from the 1500m to the 5000m Obiri thoroughly dominated the event in 2017, running the fastest time of the season, winning the world championships, and winning the Diamond league title. Compatriot Caroline Kipkirui pushed Obiri until there was 200 metres left, upon which Obiri made her move Kipkirui could not respond. 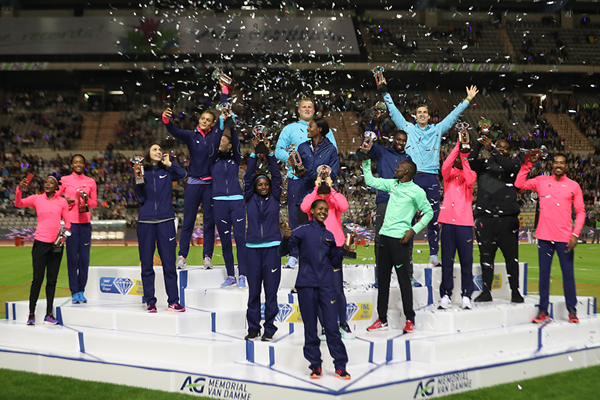 Faith Kipyegon, Hellen Obiri and Conseslus Kipruto were among the overall winners. This entry was posted in Kenya Athletics News, Kenya Sports news and commentary and tagged conselus kipruto, elijah manangoi, Faith Kipyegon, hellen obiri. Bookmark the permalink.